With a landscape that encompasses mesmerising mountains, blustery prairies, desert badlands and vast coniferous forests, Alberta is the perfect place to enjoy the best of quintessential Canada in one short trip. From gourmet marvels in the city of Calgary to the breathtaking views of alpine Lake Louise, Alberta conflates some of the world’s most beautiful landscapes with a luxuriously comforting way of life. 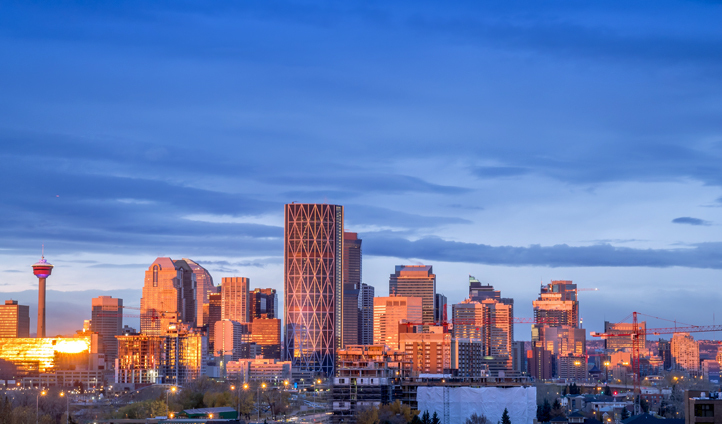 Start your adventure with a gourmet gallivant in the food-filled city of Calgary. Staying in Hotel Le Germain, the jewel of buzzing downtown Calgary, you’re in prime location to venture out and enjoy some of Canada’s supreme foodie offerings. Head to Rouge for quality ingredients from local growers and the restaurant’s thriving on-site garden, or Blink Notable if an open kitchen offering sizzling steaks, a dripping rotisserie, and succulent sauces is more your scene. We’ll also ensure you’ve got time in your itinerary to enjoy a day-trip to Drumheller and the epic Dinosaur Provincial Park. Begin with a tour of the Royal Tyrrell Museum, where you’ll come face to face with an astounding array of dinosaur fossils and some insightful information that will bring the Jurassic age of Alberta to life for you. By the time you step outside to explore the landscapes that were once home to these prehistoric creatures, you’ll be completely awe-struck. A great day, especially if you’ve got kids in tow. Leave the city lights for Waterton National Park, where you will be spending three nights in one of Waterton Lake Lodge Resort’s quaint chalet-style buildings amidst four acres of green and luscious gardens. Rooms offer nights of luxury and romance whilst maintaining a charming backcountry appeal. Spend your days soaking up the vistas of still turquoise waters and Rocky Mountain peaks that surround. Hone your primitive instincts with an insightful visit to the long lines of stone cairns where herds of wild buffalo were once hunted by ‘Buffalo Runners’. Imitating the bleating of a young calf, young men would lure the herd to the cliff edge and down to their deaths. 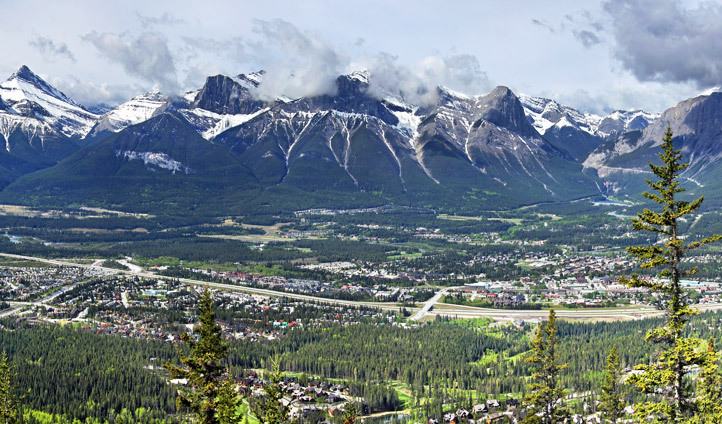 From lakes to rugged mountainsides, it’s time to yourself into the surrounding landscapes of Canmore with adrenaline pumping white water rafting, world-class golf, and tours of deep, yawning caves. Enjoy the alpine forests and stunning mountain terrain by hiking at Spray Lakes, cantering on horseback with the Canadian Rockies Adventure Centre, or taking to the skies in an alpine helicopter tour over the Three Sisters Peaks. This is a vista you won’t forget.